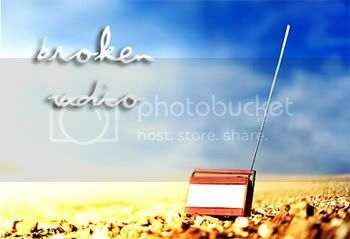 Welcome to _brokenradio_! This community was originally created by _fortunes_fool and areyouawake (who has since given up her posting access) as a way to share their music collections. rev_lovejoy and rodeo_clown_ also have posting access, so expect to see them around too. The music is uploaded to You Send It. The links we post will expire after a week or 25 downloads, whichever comes first. If a link expires before you get a chance to download, just leave a comment and we'll re-upload. Also, it would be nice if you comment when you download something. We spend hours uploading these files for you and a little feedback would be nice. Don't forget to friend the community as well, it makes it much easier for you to keep track of the music we post. The RIAA dictates that once downloaded, you have 24 hours to remove a music file from your computer. _fortunes_fool, rodeo_clown_, and rev_lovejoy will not be held liable for what you decide to do with the music you find here. If you like a song we post, please support the artist and buy their cd. If you are interested in becoming an affiliate of Broken Radio, feel free to email me.